Dream about being lost — Read the original Reddit Dreams post here. (Condensed version) I have the same dream. I am always either lost or can’t get home. My car breaks down. On the bus I don’t remember my address. I go out to lunch where I used to work before I retired and can’t find my way back. What does it mean? The most obvious interpretation of a dream about being lost is the dreamer in some way feels lost. Dream enact feelings, and this case is a prime example. Searching for the way home in a dream can symbolize trying to get back to what is comfortable or known. A car breaking down can symbolize personal progress stopping. Going out to lunch and getting lost is a way of describing retirement. The dreamer told me he’d retired a couple of years ago. “I guess I am really lost,” he commented during our Reddit exchange. With my suggestion he made the connection between his life and his dreams, giving him a way of looking at his situation that might spur him to action. 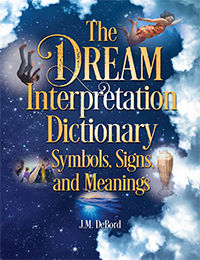 This dream is also a great example of how dreams offer resolutions through the questions implied and issues raised. In this case, the question implied is “why do you feel lost?” The issue raised is what this person does with himself now that he’s retired.